Hee-Jin is opening the packaging of a new cellphone. She immediately dials her number on the new phone. She saves Boong-Do’s number on her phone as “sun-soo” (player) and her number on his phone as “Most Beautiful Woman in the World.” She picks her phone, which is still ringing, and says, “Hello? Mr. Player?” She pretends to be Boong-Do and answers, “How have you been doing?” She laughs at her own antics. Hee-Jin has bought a few things that Boong-Do will need for the modern world- clothes, a watch, and a wallet, which she packs with his thick load of bills. Soo-Kyung has watched her do this from upstairs and starts to “tsk, tsk” and wag her finger. Hee-Jin explains to Soo-Kyung that she did not buy all this with her money. It was bought with all his money; Soo-Kyung saw, didn’t she, that Boong-Do has a lot of money? 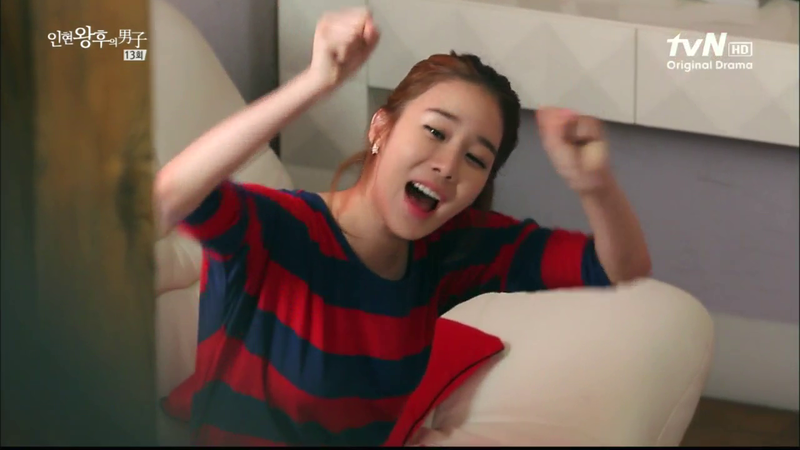 But all Soo-Kyung can do is keep shaking her head at Hee-Jin. Hee-Jin simply replies, “Yes, I’m happy. Wahhhhh!!! !” She does some rapid fist pumps. Soo-Kyung gives up. “Fine. At least you’re happy. At least one person should be happy. Good job, Hee-Jin. Love doesn’t feed you but money does. At least he has money.” Hee-Jin just continues to smile blissfully. 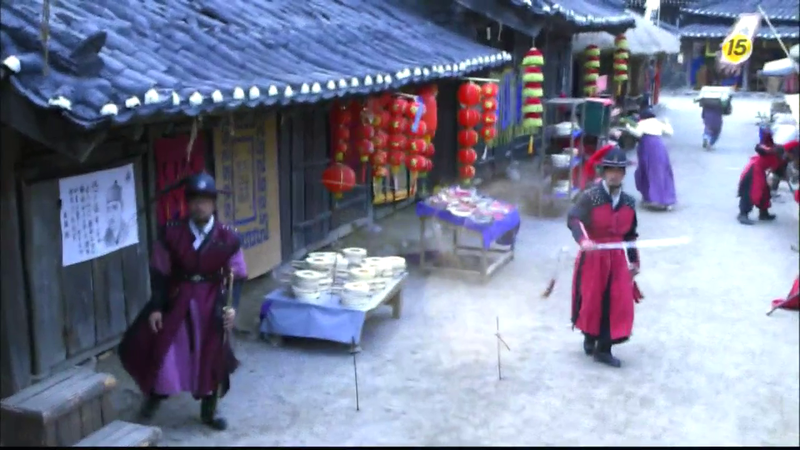 In a flashback, Yoon-Wol is bowing at the temple. 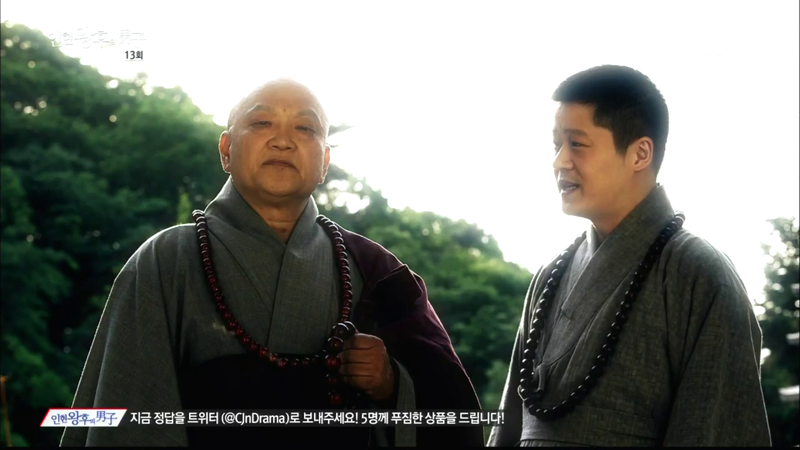 An older monk asks monk Young-Myung monk, “Who is that child? She has come here every day.” Young-Myung tells him that she is a gisaeng. The older monk wants to know what kind desire Yoon-Wol has to be this devoted? It is night and Yoon-Wol is still at the temple. The monk asks her, “What do you desire you so much?” He wants to help her out after seeing her devotion. We see the Queen’s parents’ house. A man dressed like Boong-Do leaps over the wall and a guard sees him. One of the ladies-in-waiting checks on the Queen, who is fixing her nightgown/undergarments. The King is angry that something like this could still happen. He is sure that this was ordered by the other side (Minister Min’s people). He wants to re-question them and find out who ordered this. 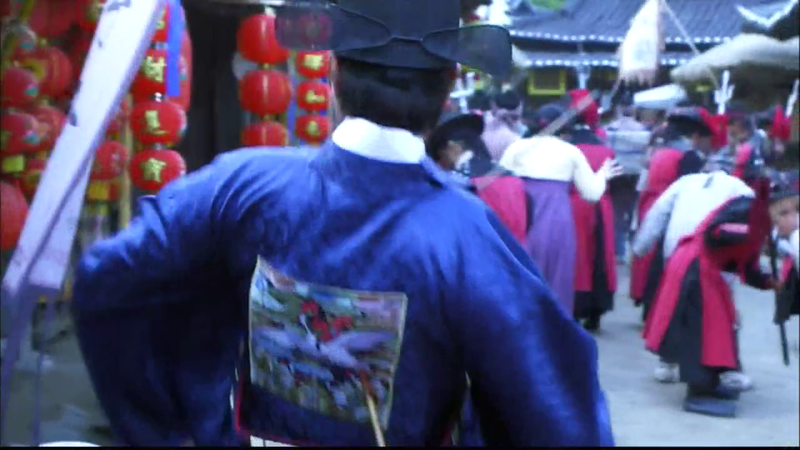 Boong-Do is walking to the palace with the officers. 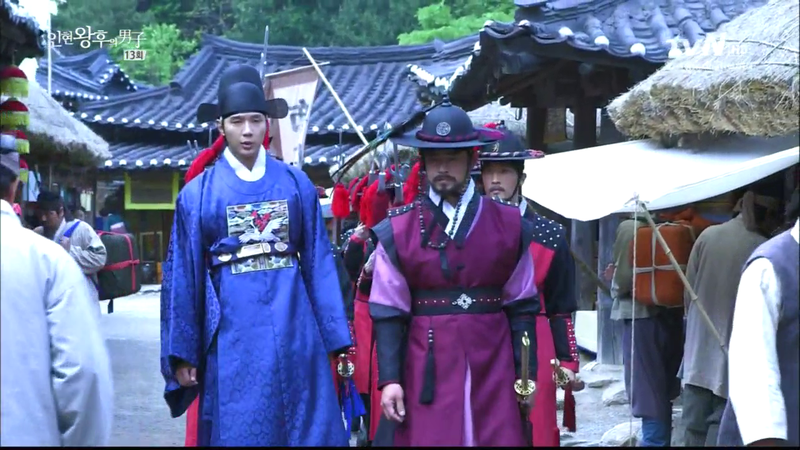 The officer tells him that the King wanted to see Boong-Do and talk to him about this since he is the only one who knows about Ja-Soo. Boong-Do doesn’t understand why those people would do such a foolish thing. The officer figures it is because they are desperate. The officer shows him the portrait of Ja-Soo. Boong-Do notes that while the general idea is right, Ja-Soo looks different. The officer asks for more specific details. Boong-Do mutters to himself, “This would be easy if we just took a picture.” The officer hears this and is confused. Boong-Do asks, “Did the person who invaded the Queen’s parents’ house look like him?” The officer answers that the only the back of that person was seen. 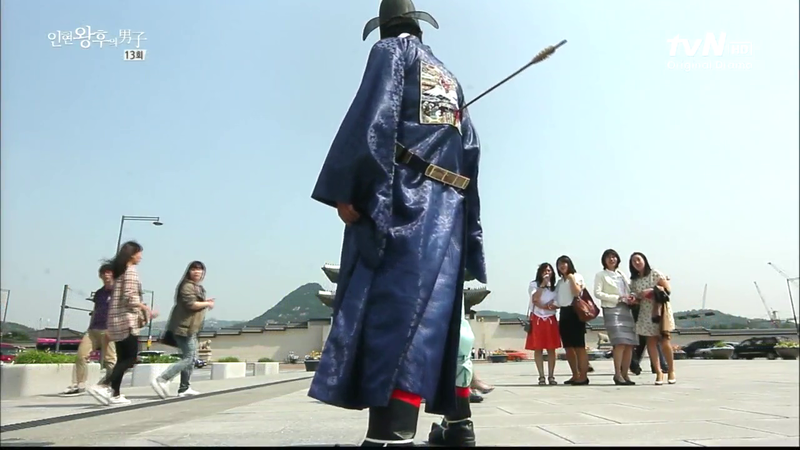 But it was reported that the man was tall and had on yangban’s clothing. Boong-Do is surprised to hear this. “Yangban’s clothing,” he repeats. 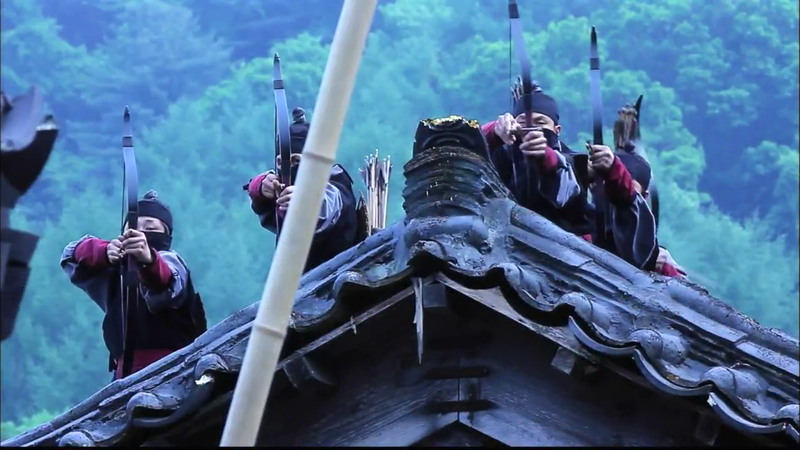 From a rooftop, masked men ready their bows and shoot at Boong-Do. Two arrows hit Boong-Do. One near the chest and one in his back. We see a repeat of the conversation between Ja-Soo and Minister Min about the amulet. Ja-Soo wants to steal the amulet and kill Boong-Do. Minister Min wants otherwise. The amulet will not only help Boong-Do. It will also bring him trouble. 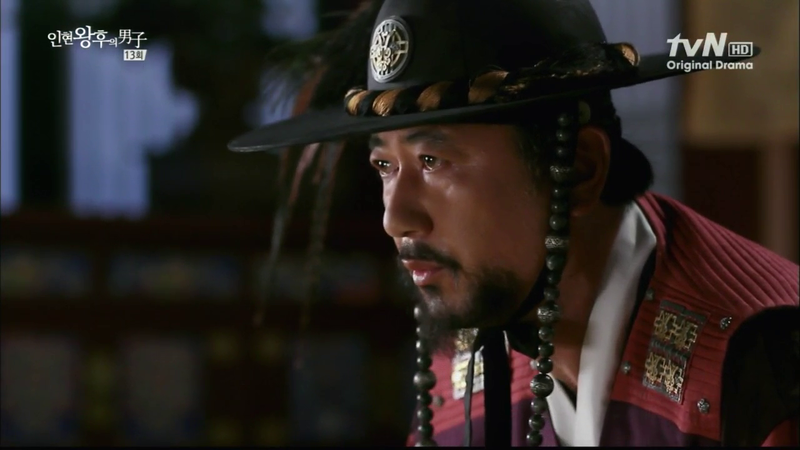 Boong-Do remembers what the officer told him about the man who intruded into the Queen’s parents’ house- the tall height and the yangban’s clothes. Boong-Do makes his way to the park with the phone booth. He looks at the phone. (Okay, I know that there aren’t a lot of phone booths in Seoul anymore but really?) Boong-Do passes on and heads up the hill to where he hid his bag last time. He doesn’t see it, however, and panics. Thankfully he sees a plastic bag there and pulls it out. Inside is a note from Hee-Jin- “Will you be able to read this? Kim Boong-Do sshi. Don’t steal anymore and wear clothes properly. From the ‘World’s Most Beautiful Woman’.” Boong-Do sighs in relief. He pulls out the cellphone and wallet, and hides the clothes again. He heads down to the street and stops a cab. Boong-Do gets in and asks to go the library. (IS THIS MAN OUT OF HIS MIND?!!!!!). The taxi driver wants to know which one and Boong-Do asks for the nearest one. They start to go but they get stuck in traffic. The taxi driver asks Boong-Do to just get out now since they are only 50 meters away and they are stuck. But Boong-Do has fainted in the back. The taxi driver finally turns around and sees the blood. 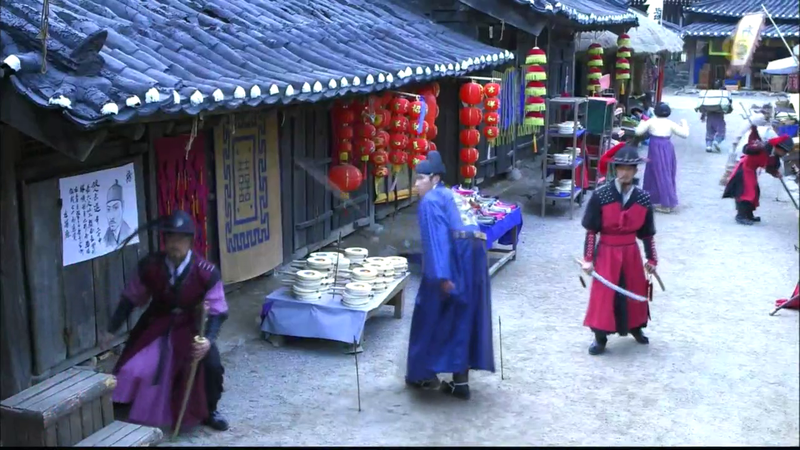 Hee-Jin is filming, delivering serious words to the King, when we see that the “King” is actually one of the staff members dressed up as the King just for the close-up shots of Hee-Jin. (I feel like a crazy woman- going back and forth laughing and dying.) Na-Jeong comes by and asks why the guy is there and one staff member explains that it is because Dong-Min didn’t want to film with Hee-Jin. The director is unhappy and just calls for some time. Na-Jeong starts to tease Hee-Jin. “How could the queen cheat on the King? You are definitely above me. You’re great!” The rest of the staff looks uncomfortable. Hee-Jin sees Soo-Kyung and makes cute faces at her, sticking out her tongue, but Soo-Kyung just shows Hee-Jin that she wants to cut that tongue off. Soo-Kyung and Hee-Jin rush to the emergency room. Hee-Jin asks for the man who just came in from a taxi. The nurse recognizes her and asks if she is the guardian. Soo-Kyung replys that she is guardian and Hee-Jin just followed. Hee-Jin searches around the room for Boong-Do. (Find him! Find him!). Hee-Jin- “Where is he? !” Soo-Kyung steps on her toes and asks more calmly, “Where is he?” The nurse explains that he is in surgery. The nurse pulls out a consent form. He went into surgery in a hurry and they couldn’t get consent before it. Soo-Kyung signs while Hee-Jin worries. 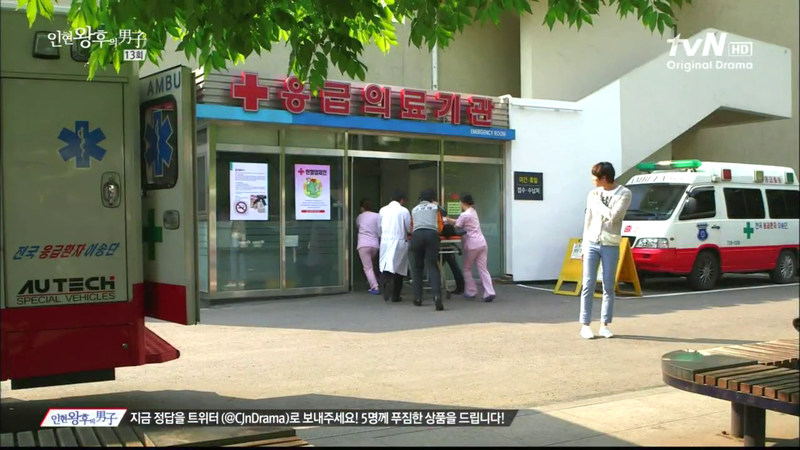 Everyone is in front of the emergency room and Soo-Kyung is talking to the taxi driver. 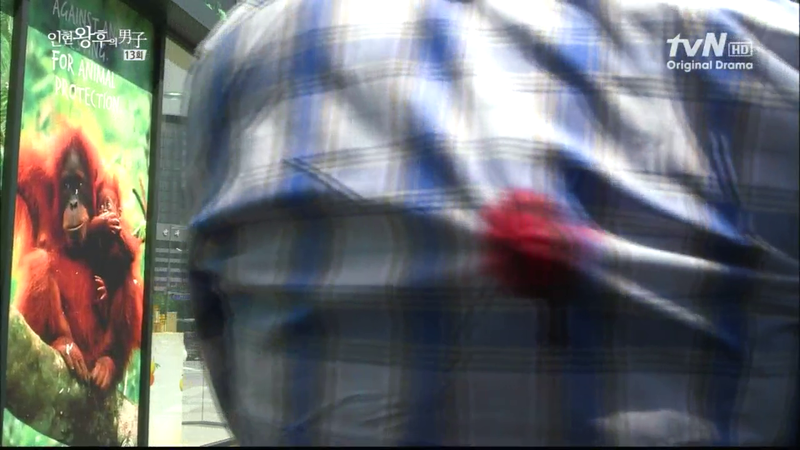 The taxi driver explains that he thought Boong-Do was fine in the beginning but later saw him bleeding. He thought he was going to have a funeral in his taxi. The driver continues to explain that he opened the wallet and saw money but no ID. He opened the cellphone and only saw one person in it- “The world’s most beautiful woman.” The taxi drivers stops and looks at Soo-Kyung. “So you’re the ‘world’s most beautiful woman’?” Soo-Kyung explains that it is just a joke. Hee-Jin looks on in worry. The King is talking with his head of the police. “He disappeared like smoke? What do you mean?” The other government official reminds the head that he must speak the truth. The head apologizes but there are many people who saw this happened with their own eyes. 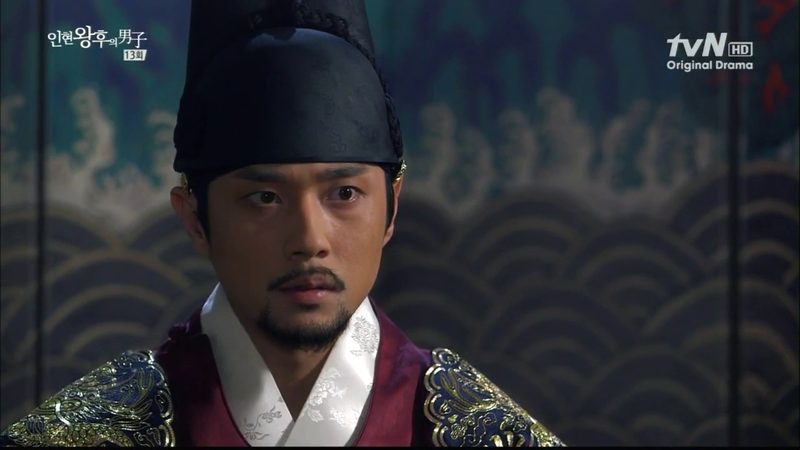 The King asks where Kim Boong-Do is but he hears that they can’t find him yet. Since two arrows hit Boong-Do, there should be blood trails or footprints but they haven’t found any. The King is in disbelief. The other government official guesses that the assassins must have kidnapped him but the head officer reports that they captured those assassins and they don’t know where Boong-Do is either. They were just as surprised at his disappearance. Flashback to Boong-Do being rolled into surgery. 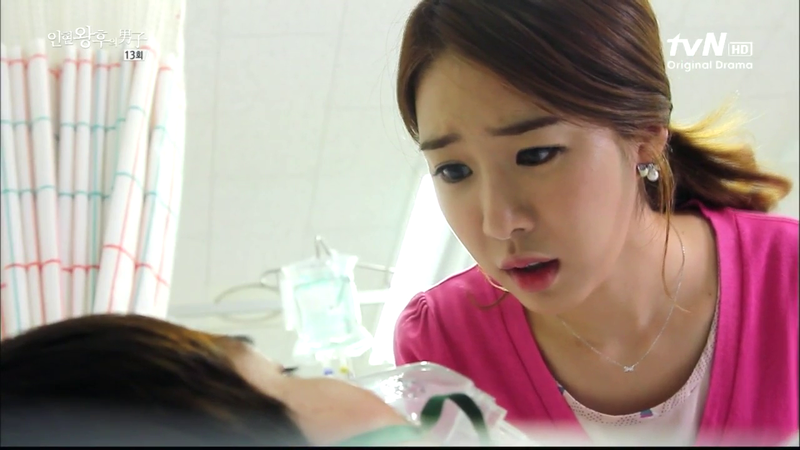 Boong-Do is now out of surgery and he opens his eyes to see Hee-Jin above him. Hee-Jin asks, “Do you see me? Do you hear me?” She calls the nurses. Boong-Do struggles to say, “I need to check…” Hee-Jin can’t hear him properly. 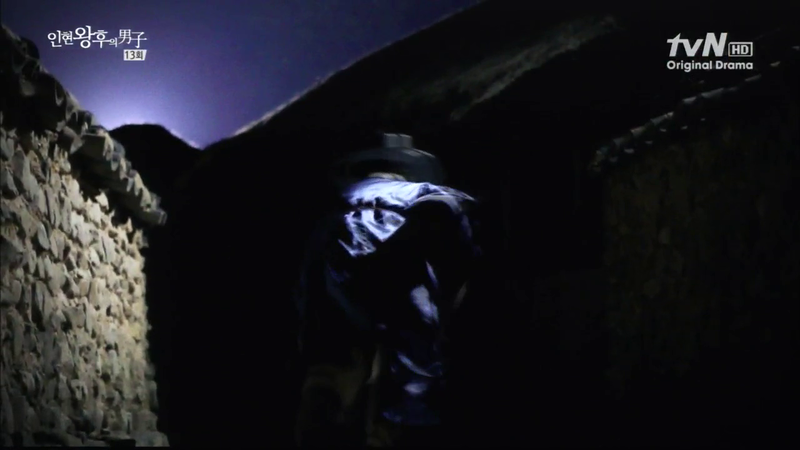 “What do you need to check?” He breathes out, “The Annals.” Boong-Do falls unconscious again. The doctors finally come in. Hee-Jin gets up to go. Soo-Kyung tells Hee-Jin, “Just because I like money, doesn’t mean that money is everything. 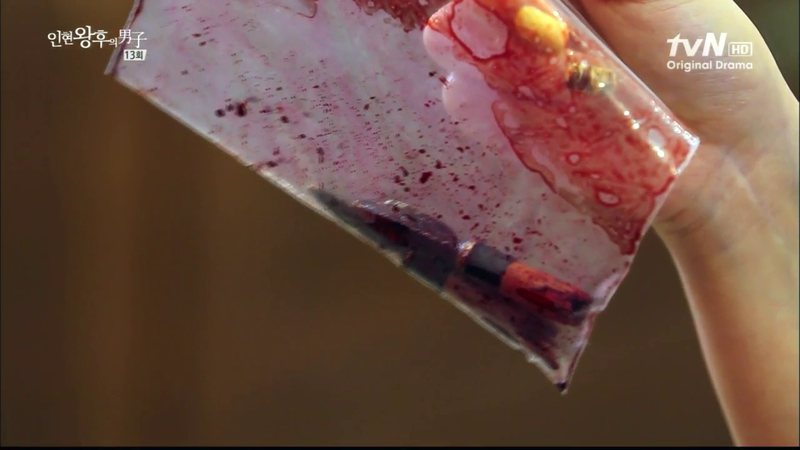 Why does a student go around getting shot by arrows?” She pulls out the arrowhead. Hee-Jin drops her purse. Soo-Kyung asks, “Is he really a student? Should I ask the school? And why are you the only one he knows? So he doesn’t have parents but no siblings or friends? What are we going to tell the police? Who is that man, really?” Hee-Jin wordlessly looks at the arrowhead. Hee-Jin is back at the studio and a staff member brings her some corrections to the script. (Oh no.) Hee-Jin reads the new script. She is completely amazed. She curses Dong-Min. Hee-Jin checks the Annals. She is astounded by what she is reading. The doctor comes in and checks on Boong-Do. Hee-Jin gets a call and leaves the room. Boong-Do watches her leave, avoiding his eyes. It’s a call asking for Soo-Kyung. 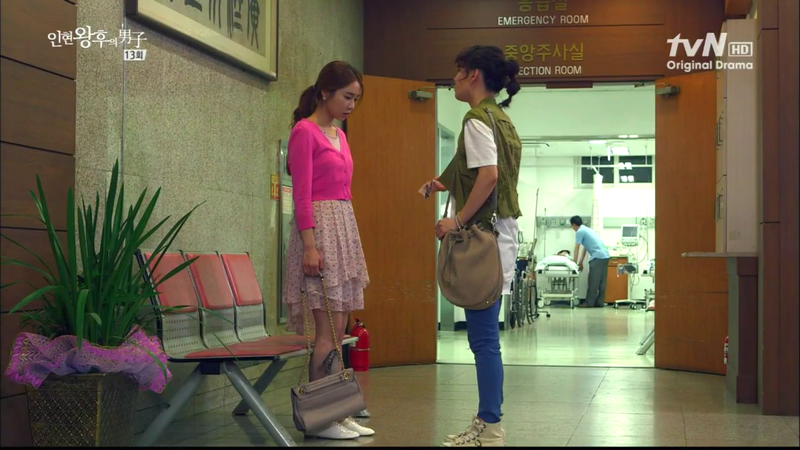 A nurse approaches Hee-Jin and tells her that Boong-Do needs more examinations and that they need to report him to the police. The nurse wants Hee-Jin to fill out some forms. Boong-Do gets out of his bed and looks for his amulet in his clothes. He can’t find it. Boong-Do has changed into clothes that Hee-Jin had brought to the hospital for him and tries to leave the hospital, but he meets Soo-Kyung on the way out. Boong-Do continues to leave the hospital and notes the ambulance and emergency room sign. Boong-Do is at the library, checking the annals, and in pain. Boong-Do reads what happened while he was unconscious at the hospital. May 25- the head of the police reports that Kim Boong-Do was shot and disappeared. May 26- witnesses report that the person who intruded the Queen’s house looked like Kim Boong-Do. The King got angry and punished the witnesses. May 27- guards report that Kim Boong-Do often visited the Queen and on the night there was the assassination attempt on the Queen, Boong-Do visited the Queen. May 28- it is confirmed that Kim Boong-Do never went to his hometown the day he said he would. May 29- it is reported that Kim Boong-Do disappeared for four days during his exile in Jeju. June 1- the rumors that Kim Boong-Do used black magic to travel the country and visited the Queen cannot be contained among the citizens. Official letters asking for re-investigation keep pouring in and the King orders for Kim Boong-Do to be brought in for questioning. June 3- The King orders the Queen to tell him the truth but the Queen remained silent. June 20- The King: “The Queen’s secret actions have been revealed. She consorted with someone who uses black magic and used me to be reinstated. This is high treason. The Queen will be punished again. Last April’s incident will be re-investigated. Release Minister Min and the others.” July 2- The King: “It is right to punish Kim Boong-Do also but since we can’t find him, we will behead all those involved and punish Kim Boong-Do (as in punish him after death with the greatest punishment. Since in Joseon time, your prestige, name, and heritage means so much, you can still punish people after death). July 25- The person stripped of her status, Min-sshi, was beheaded. Boong-Do lets this all sink in. His phone rings and it is Hee-Jin. He doesn’t pick up. Soo-Kyung reports to Hee-Jin that they can’t find Boong-Do in the hospital. 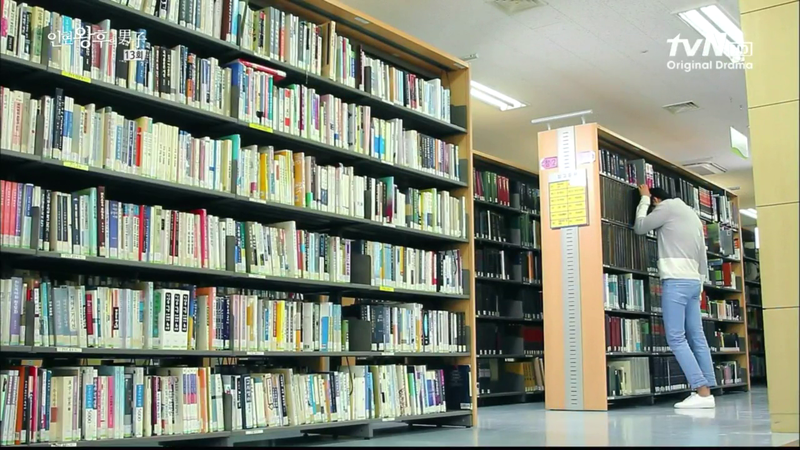 Hee-Jin tells her that Boong-Do is probably in a library but she doesn’t know which one. Boong-Do remembers his promise to the Queen. “Don’t worry. We will protect you to the end.” Concurrently, we see the Queen being beheaded. 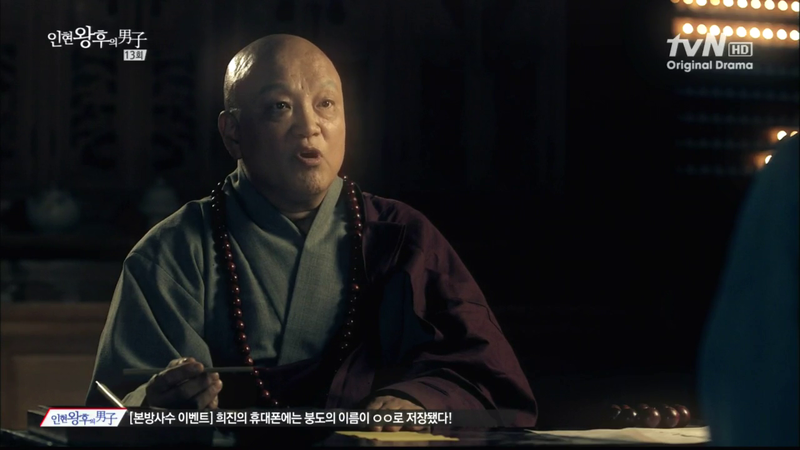 He remembers Yoon-Wol saying, “The monk said that the amulet can become a curse/wrath. 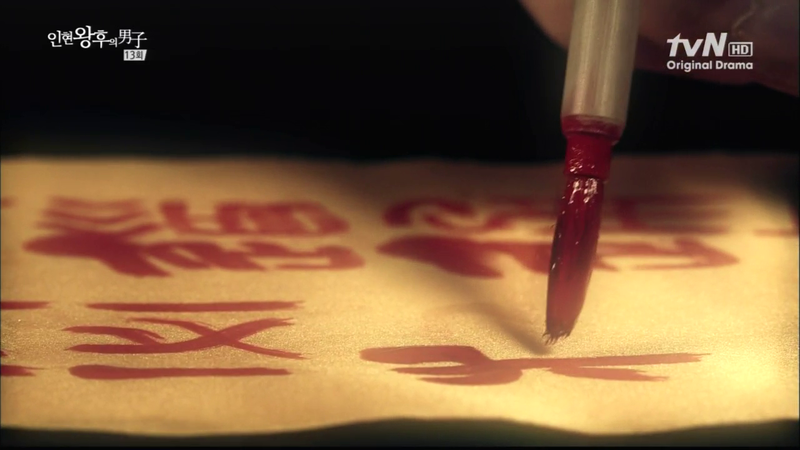 The reason why the monk wrote the amulet and I gave it to you was to save your life. But now you if you use the amulet to purposefully go to that place, isn’t that against the first reason for making the amulet? Isn’t that the “other desire” that the monk was talking about?” Boong-Do hangs his head while the phone continues to ring. Boong-Do does not pick up. Hee-Jin keeps confirming that she burned it. “You saw the Annals. You went M.I.A. It’s because I burned the amulet. The Queen was beheaded. What would happen to you if you went back? So I burned it. You know I’m simple and not that smart. I could only think of that solution. 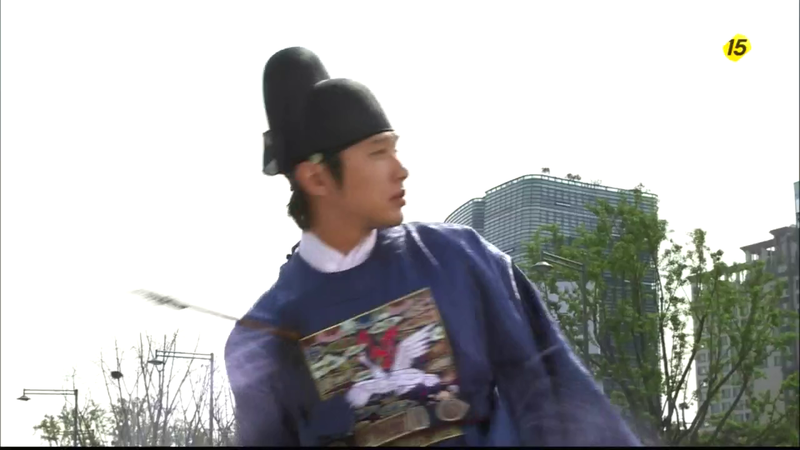 I’m sorry that I didn’t tell you this before but even if you want to go back to Joseon, you can’t now. Hee-Jin remembers the night she tried to burn the amulet. 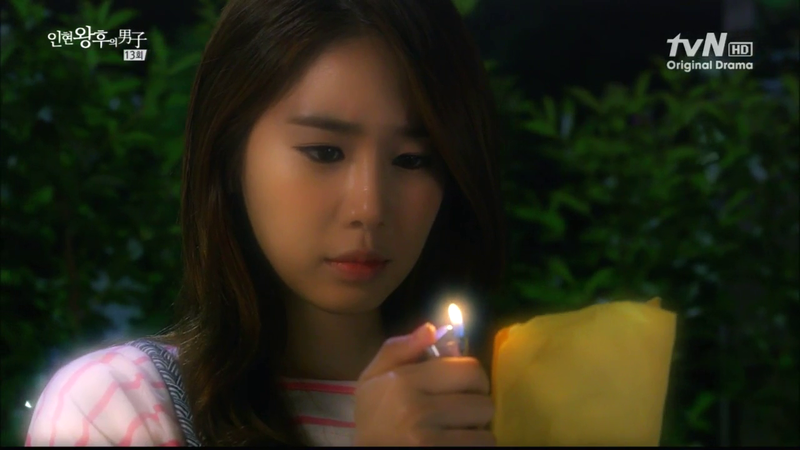 Hee-Jin holds a lighter to the amulet but she can’t do it. 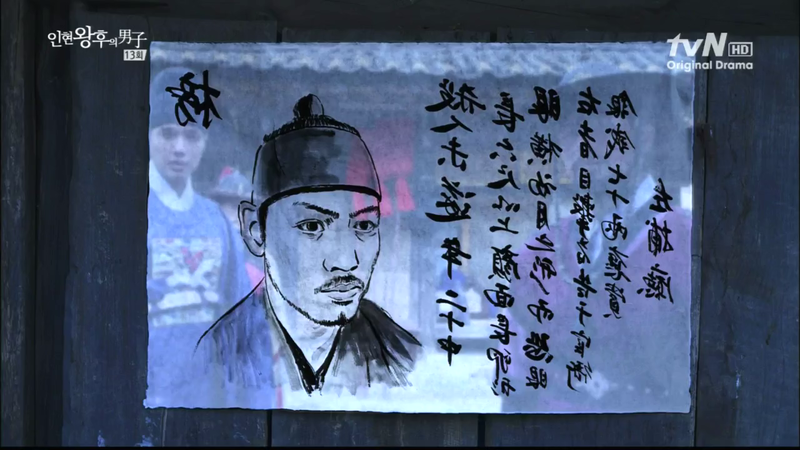 Boong-Do looks at Hee-Jin’s portrait hanging on the wall of her house. “I will take care of everything and return.” Hee-Jin just sniffles at the other end of the phone. 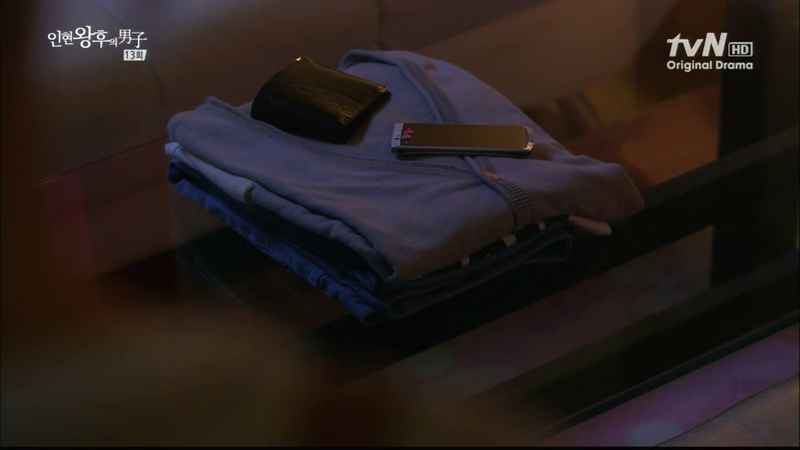 Later in the night, Hee-Jin returns to her house and see Boong-Do’s clothes, cellphone, and wallet on the table. The song “Same sky, Different Time” plays in the background. Hee-Jin sadly sighs. The preview is the same one as the one uploaded on tvN’s YouTube channel. I have posted it up already. Another excellent episode despite the lack of OTP moments. Things continue to remain interesting and moving swiftly. I also love how each shot is framed, especially when Boong-Do is reading the Annals and we see how everything played out in the past. 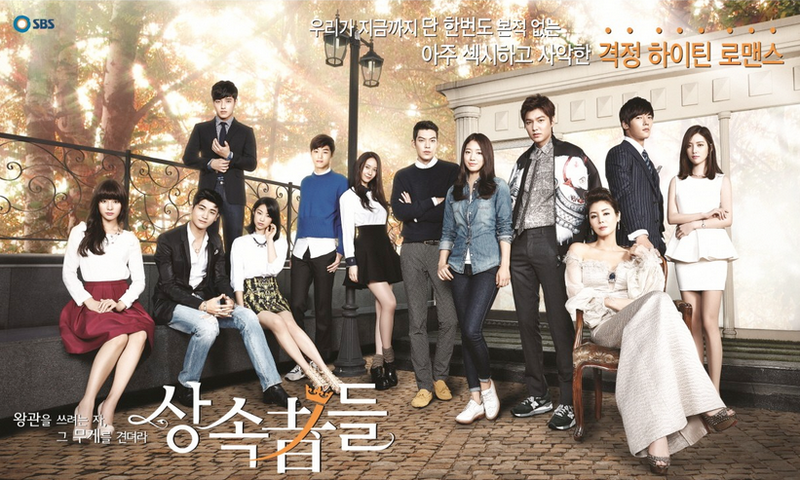 The drama is not only interesting plot-wise, but visually also. I am thoroughly enjoying how the Queen arc is playing out. I was afraid it would be sidelined, or worse yet, take over the show, but it has done neither. The plot surrounding the Queen remains relevant to our main couple’s love story and continues to bring conflict and weight to what can otherwise veer off to sheer fluff. It is so refreshing to watch a main lead reason with someone and to have the receiver actually understand. The heart is great but sometimes the mind is a much better resource. This couple is such a functional couple. There are no doubts about each other. Boong-Do never feared for once that Hee-Jin would burn the amulet. He knows her too well. 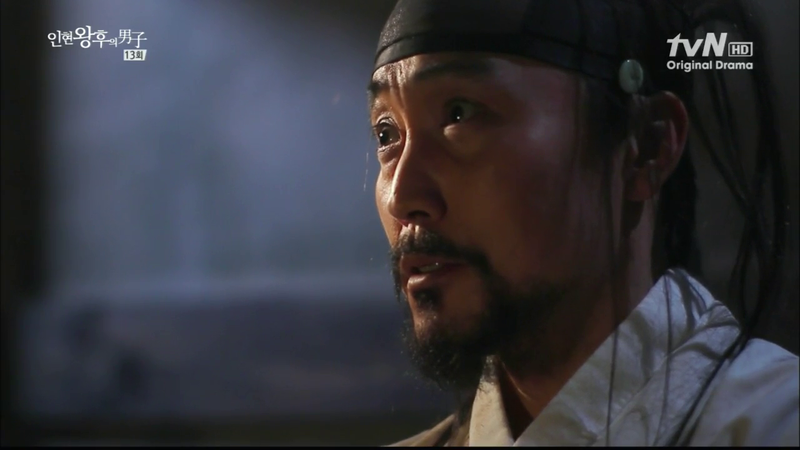 When Boong-Do was explaining to Hee-Jin why he must return, I was just swooning all over the place. I will take words of reason over dramatic-in-your-face arm-grabbing anytime. 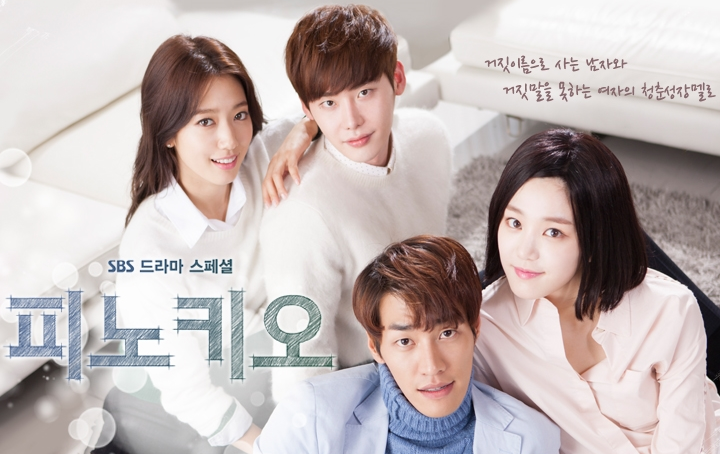 Moar Boong-Do’s and Hee-Jin in dramaland, please! One thing I want to note is that when Boong-Do was reading the Annals, everything in the past played out as if Boong-Do never returned. So there is that alternate universe. I wonder, though, what kind of universe that would be? Is it a universe in which Boong-Do made the decision to never return because I can’t see that happening. Or is it a universe in which he died and couldn’t return? Ah, time-travel. So much fun and confusion. > He knows how to trust his partner (a.k.a. HJ). BD died of arrows sentence to death. HJ feel sad and try to find a way to change history. 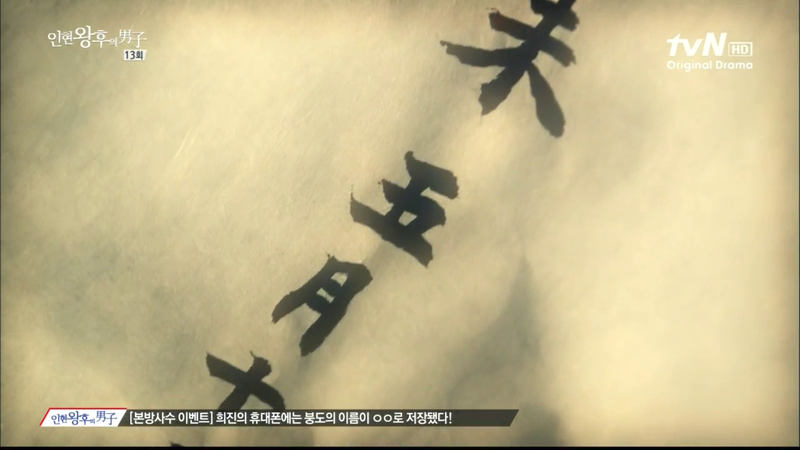 HJ way is to burn the amulet was then the story will start again after their initial meeting. thank you so much for the recap!! Just by chance, read your recap, and liked what you wrote. Thanks so much for an amusing look at QIHM. I can’t have enough of this drama. heheheheh joonni, you crack me up. and I have been sending you loads of kisseson Soompi, so here I am doing it here…MWAH!!! Your careful attention to detail, coupled with your captivation of the drama, and your eloquence…makes me want to watch again and again. And learn Korean. Thank you and yes, never stop. And make it longer. Hmmm, bout QIM 13 *I know am super late cause I just wanna wait till it subbed, but it’s worth =)* Although I hate it when there’s lack of HJ-BD interaction but this ep is another exception. It kills me, I lost my breath but still I continue to watch cause every single scene is precious. 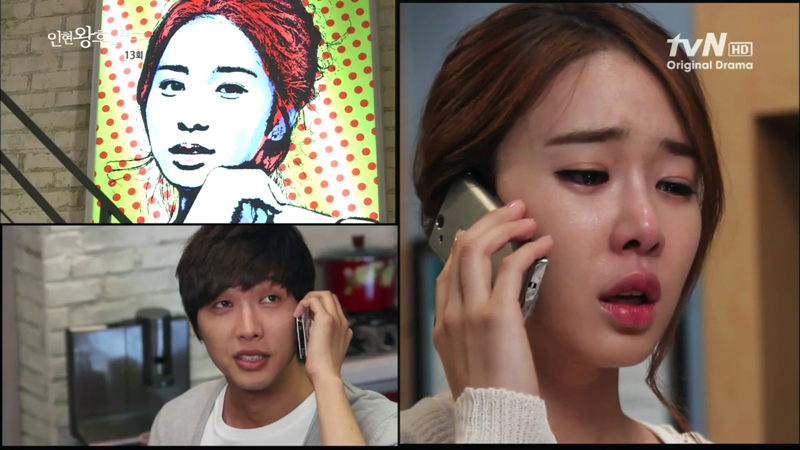 And the scene when BD calls from HJ's home.. it's really beautiful.. I love it.. I love every single word that BD and HJ say.. brilliantly arranged.. Esp when HJ quietly listens to BD's words, it breaks my heart.. at that women our HJ already knew that she couldn't stop him, that her fears will come true, that once again she have to let him go TT^TT… and what I love about her in that scene is, she didn't beg him to stay again.. cant imagine, if she's another k-drama type heroine she might tell him that if he dare to go then she would die!! *thanks, that HJ is more than that, she's our precious one in million heroine* =p.. I see you’re a Cassie. Nice to meet you! Don’t worry about grammar or length. I love to read people’s thoughts and I try to read each one, so share as much as you like! I think episode 13 is my favorite episode, just for that scene at Hee-Jin’s house.